EEG Biofeedback or Neurofeedback, is a non-invasive, comprehensive computer-brain interface, it uses sensors placed on specific areas of the scalp (corresponding to specific parts of the brain) to provide the brain with almost instantaneous feedback on frequencies in the EEG (electroencephalogram) that enables your brain to adapt and self-regulate i.e. retrain itself. The number of sessions needed varies from person to person as Neurofeedback is an individual learning process and results are seen gradually over time. Neurofeedback training is similar to the physical exercises. Just as a muscle builds up strength to lift heavier weights or run faster, the brain builds new, functional neural connections through neurofeedback sessions to support gradual and lasting change in brainwave activity. This in turn may help to improve memory, enhance cognitive function, improve sleep or any other symptoms that prevent you from performing at your peak. In order to ensure that these neuroplastic changes become lasting behavioural changes , you will need to commit to your personal brain training schedule of one session per week for a minimum of 20 sessions. This frequency of training keeps the brain in an active state of learning and growth, allowing each session to progressively build on the last. What is neurofeedback, a video introduction for ISNR courtesy of the Center for Brain Training. I have been working with various modalities of neurofeedback methods since 2011 and can report good to excellent success. After my initial training for my first client - my son, my patients and their parents (whom I have started treating after more extensive training) show significant improvements after 10+ sessions of neurofeedback. It goes without saying that there is no 100% rule, yet every patient I have worked with gained improvement in their symptoms. ISF (Infra Slow Frequencies) Neurofeedback pioneered by Mark Smith is a unique brain training method that targets the infraslow frequencies (meaning below 0.1 Hertz) occurring throughout the brain. Clinical research shows that these slow oscillations determine the overall excitability of the cortex. The brain learns to optimize its ability to self-regulate, readjusting baseline levels of activity in various regions. ISF neurofeedback consistently produces significant physiological shifts in the clients. As their autonomic system becomes more regulated, as evidenced by decreasing sleep problems, nightmares, flashbacks, cravings, and responses to trauma related triggers, they are more able to exert top down control of affective and emotional responses. You must have a strong foundation for anything else to change and persist. Working with the higher frequencies is where the fine tuning occurs. Or as Mark Smith himself expresses it “Inspired by Mitra: the faster frequencies are the surfers of the brain riding on the slow waves of ISF. With ISF we create the perfect wave set for the surfers. Smooth even breaks with beautifully rounded barrels. No more beach breaks or shore pound waves”. 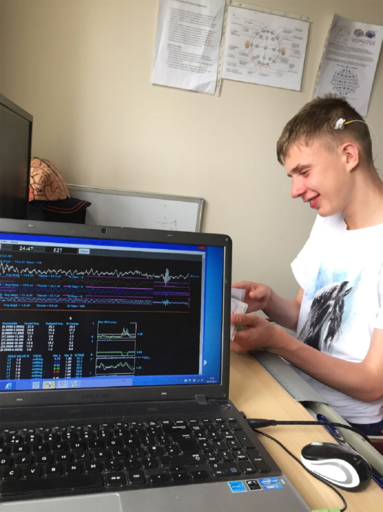 Traditional and Z-score based Neurofeedback‍‍‍. Traditional neurofeedback, although simpler than other methods, is a straightforward and effective form of treatment. Traditional neurofeedback utilizes the raw data of an EEG detected from 2-4 sensors strategically placed on the scalp. The task is set to increase or inhibit the amplitude of certain individually defined rhythms. When the client’s brain produces the amplitude designated by the clinician, an audio tone sounds or visual cues brighten. When the amplitudes fall below a threshold the tone gets softer or the visuals dim. This type of neurofeedback has also been adapted to videogames modules for younger aged clients. Over several sessions targeted clinical symptoms/ behaviours such as restlessness or inattention begin to remediate. When you achieve a more balanced brain state, the next step is to teach your brain alternative behaviours. This can be achieved through utilising other learning and coaching techniques.